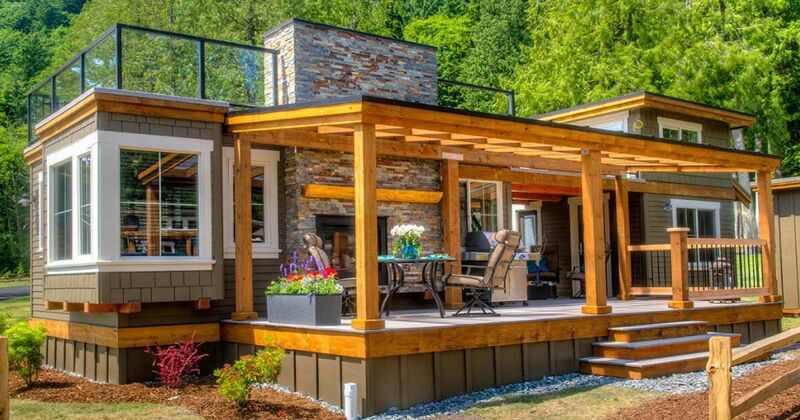 Behold a wonderful vacation cottage by Wildwood Lakefront Cottages, a company focused on recreational use tiny home development. 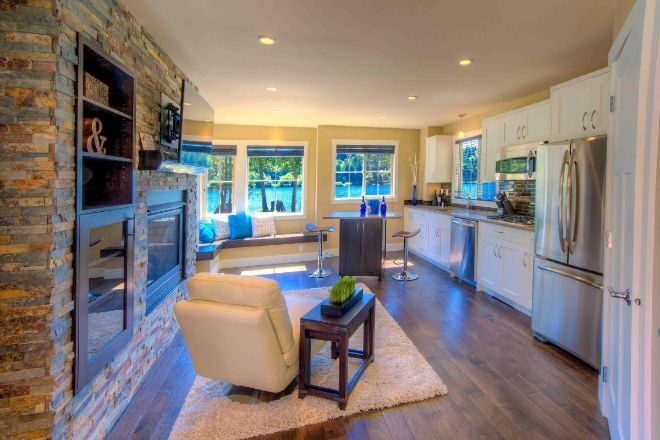 What's not to love about a park model home? You get the option of mobility (without a permit!) paired with the features of a normal-sized home. This model, called the Fairhaven, is most definitely not an ordinary park model; it offers luxury in a very small size. From the exterior, the deck immediately stands out from other park models you may have seen. The design makes the space very versatile, especially for those who want to easily move from "indoor" to "outdoor" living. 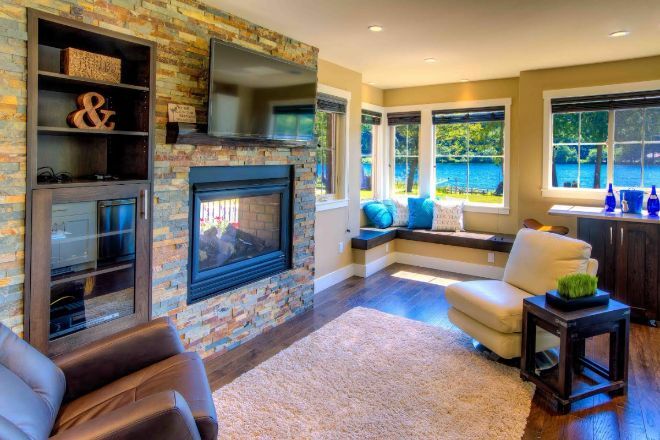 The living room features a fireplace, room to hang a TV, and built-in shelves. There's even an alcove for reading near the windows. The kitchen is connected to the living space. There's a small center dining area that can also serve as a kitchen island. 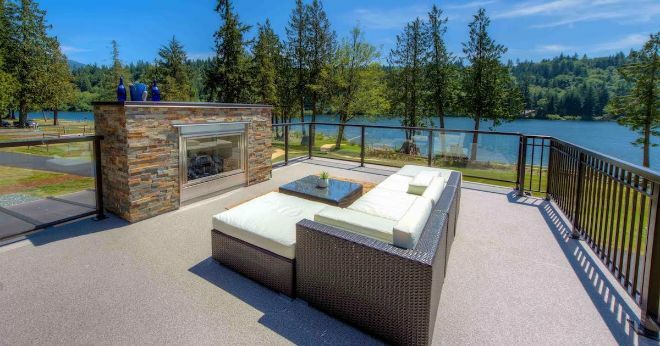 There's even an outdoor fireplace on the deck. 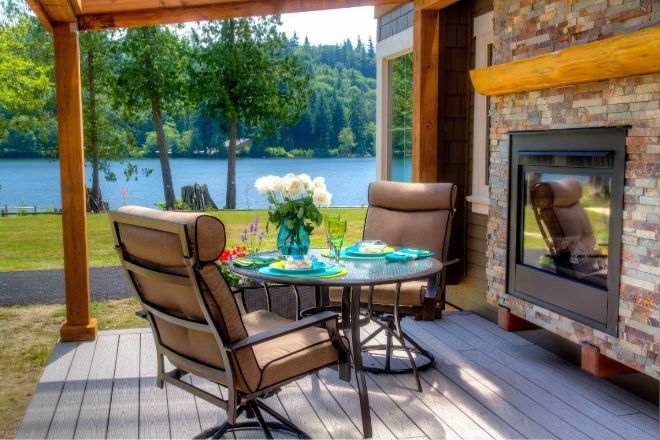 Imagine eating dinner outside with your loved one or soaking up the sun during the day. Like this park model? Don't forget to SHARE it with your friends. Nestled in one of the lushest gardens we've ever seen, the beautiful Kvale Hytte Cottage is sparking some serious envy. This new park model is for sale in Tyler, TX. Danish builders Møn Huset have created a very clever, stylish yet rustic tiny abode. The Længehus (The Long House). 'Such a lovely little magical place to stay,' says a fan on Trip Advisor. The Cottage Company teams up with architect Ross Chapin to develop these small beauties. They are The Third Street Cottages, 650-square-feet on the main floor plus the approximately 200-square-feet loft bedroom, perfect for guests or a child. 'These trailers are rare, I only know of 3,' says the seller on EBay.